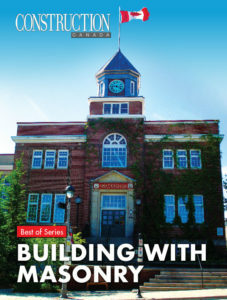 Building with Masonry contains the tale of the restoration of the clock tower in Huntsville, Ont. The Town Hall in Huntsville, Ont., is a two-storey, multi-wythe brick masonry structure in the Classical Revival style. During a restoration of its aging clock tower, extensive deterioration of the multi-wythe masonry wall was discovered. After some investigation, the scope of brick repair work was eventually modified to include the full removal and replacement of the multi-wythe brick masonry on all four sides of the tower. 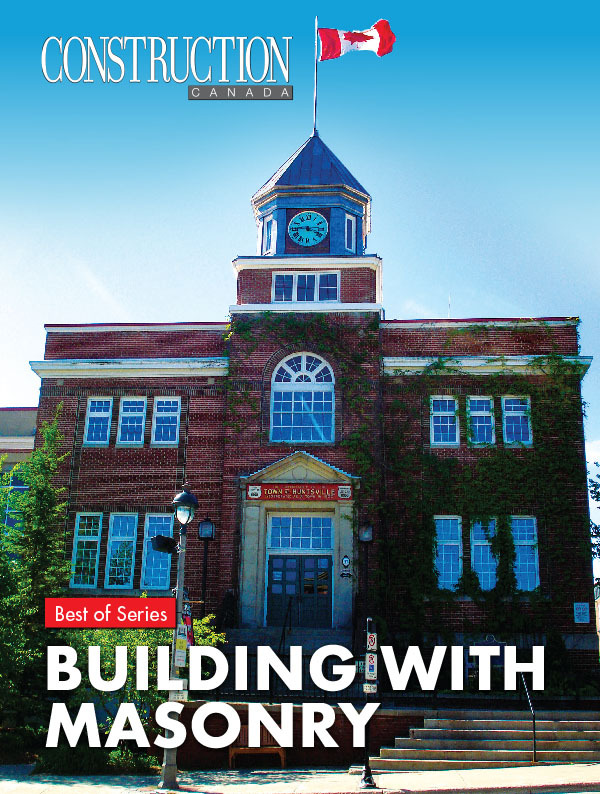 Read the full story of this restoration in the latest addition to Construction Canada’s series of sponsored e-books, Building with Masonry. This e-book provides a detailed look at adhered masonry walls, stacked stone, energy code compliance, and rebuilding aging masonry. Readers will learn why drainage and ventilation planes must be used for adhered masonry walls in order to meet more stringent energy standards, and techniques to meet the National Energy Code of Canada for Buildings requirements using the trade-off compliance path. In addition, the improper use of traditional masonry ties and stacked stone in thin cladding projects is discussed.